A thumping bass line, hand percussion, vicious guitar and chanting vocals? 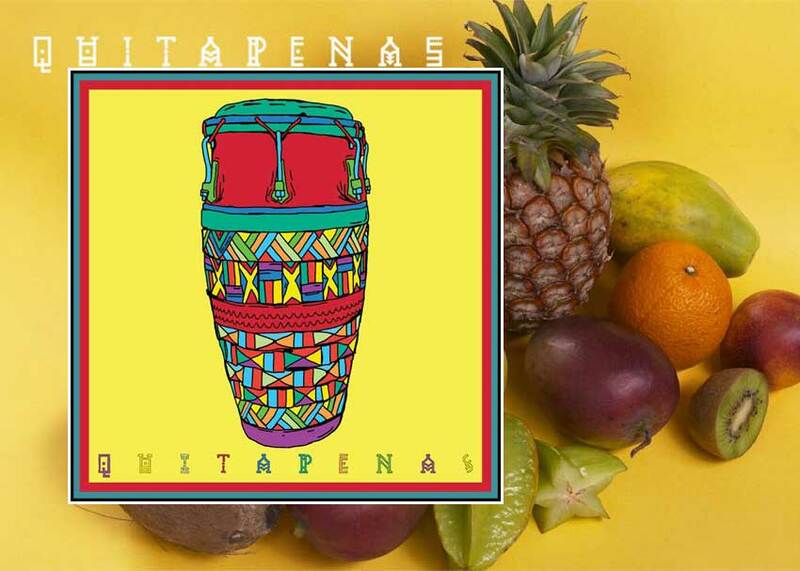 Each song off this record introduces a new facet of QUITAPENAS’ Afro-Latin sound. Sunshine-laden tracks like “Justicia” and “Guyabo” are a shoe-in for any summer playlist. They translate musically, what the band’s name means: to leave behind your worries. But should you be fooled into thinking this is some hokey “Hakuna Matata” cliche — the album takes a bit of a darker turn for much of its second half, almost suggesting a shift from tropical day to dark Havana night. On “Papaya,” the band is in full force, with rapid guitar lines and sax melodies evoking that spiritual voodoo sound that sometimes creeps up in great salsa music. What I find most impressive is that no matter how many different styles QUITAPENAS takes on, they are always pushing things forward, dusting off genres and bringing them into a fresh context. Guitarist Daniel Choco’s fluid and incredibly melodic guitar lines are the heart and soul of the group, setting the vocabulary for each track. His bright and clear Telecaster-fueled tone and playing sensibilities reminded me of the psuedo-Afro-pop sounds of Vampire Weekend. The difference? Inland Empire, California-based QUITAPENAS are a lot closer to their source material, both geographically and musically. Leonard Elias Sr and I donated $50.00 to your go find album release and never received our gift. Any idea when we will get it?